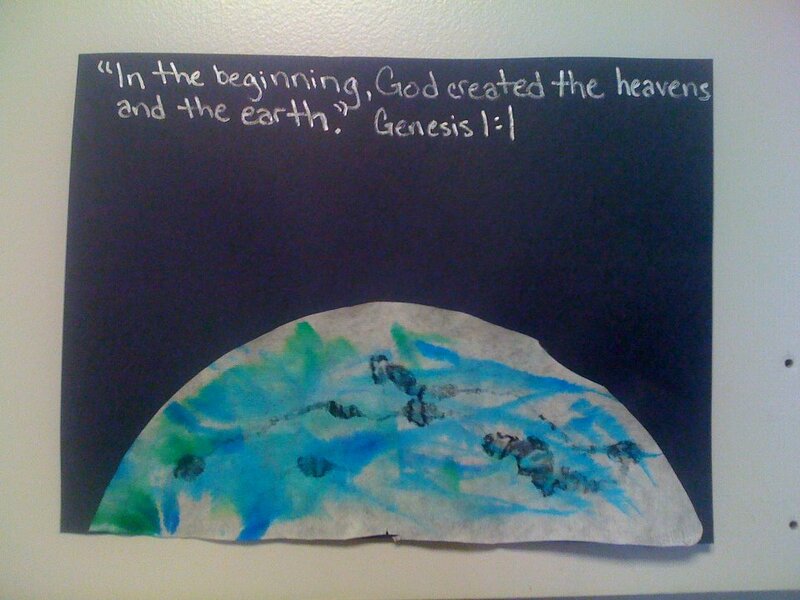 This week marked the beginning of our pre-school homeschooling journey. We are using ABC Jesus Loves Me curriculum for 2 year-olds, and so far it has been great. All of the worksheets are available on their web site for free, and the crafts use basic household and craft supplies. It’s also easy to break up into the day, which is great for my son. Sitting still is not his strong point. Even so, he has enjoyed the stories, crafts, and songs. Here are a few pictures from our 1st week…. This project was modified. We didn’t have any of the regular, circular filters. 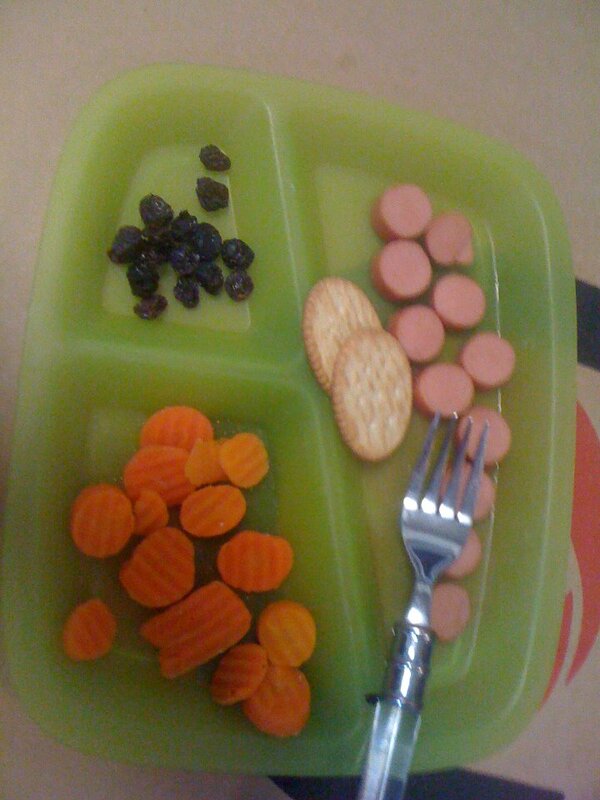 I had a lot of fun tying in our lessons at mealtime. I also served most meals on round plates and used lots of foods and drinks that coordinated with the lessons. Week one was pretty easy because the lessons included circles and the color red. I’ve had all kinds of excuses why I couldn’t/shouldn’t/wouldn’t do it, but God keeps pushing them to the side. I was worried I would be going at it alone. Most of the people I knew who were involved in homeschooling had children much older than mine or had no children at all, but they had grown up in a homeschooling family themselves. In the last few weeks I have found out several families I know are homeschooling, and I had no idea. I also found out that several young moms I know (that also happen to have children the exact same ages as mine) are researching it and considering it. Even two of my own relatives with children the same ages are considering it. One of those, my aunt, lives a little over an hour away, and her little girl is 8 weeks younger than my oldest son. I began worrying about the cost of curriculum, especially since I was wanting to start a preschool curriculum soon. My aunt told me about ABC Jesus Loves Me. It’s FREE and looks like it is going to be fabulous. We are starting it this week. I began feeling overwhelmed every time I tried to research anything or look into curriculum. I sent a quick message to another homeschooling mom I know via Facebook, hoping that she might have a minute to send me a couple of links to web sites or book recommendations. She does have 4 kids, so I wasn’t expecting much. She did have time though, and she also sent a longer reply than my original message and invited me over to look at her stuff and share info and ideas with me. Last week He started working on my insecurities about my teaching abilities. I am very concerned that I won’t be able to teach my children everything they need to know – that I don’t know enough. One morning last week, while the boys were eating their breakfast, I read them the story of Zacchaeus and we talked about the story. I even looked up a video on YouTube of the old song I learned in Sunday School 20 years ago at First Baptist Church of Almyra. The boys weren’t nearly as excited about the song as I was. 🙂 After breakfast, Lincoln stood up in his chair, told me to go to the couch, and started saying, “I see you! I see you!” He loves to hide, play peek-a-boo, sneak up on people, etc. so I hear that phrase a lot and really didn’t think much of it. He was getting frustrated though. I paid closer attention to what he was saying. He instructed me again on where to go. Then I got it! He wanted to act out the story! I asked him if he was Zacchaeus, and he gave me an excited, “Yeah!” I was shocked. He really had been listening! I gave him a playful, “You come down!” and he scrambled down, grabbed my hand, and pulled me to his house (the kitchen). I was overjoyed. I’m so glad that God allowed him to be excited about that lesson and show me that it can be done – my rambunctious 2 year old can listen, understand, and retain stories and lessons spoken by me. I’m still terrified, uncertain, and feeling overwhelmed and incapable, but that definitely planted a seed of confidence. Maybe this can be done.